This special anthology will consist of ten “folio” sections for each poet. We will publish up to six pieces by each author, of which at least one can be previously unpublished. Poems may be of any topic of the author’s choosing, and in any style or form. Each selected author’s photo, micro-bio, and personal essay will be followed by their sampling of work. Please submit 8-12 poems (previously published considered) in a single attached document for consideration to AeolianHarpAnthology@gmail.com. Personal/contact information only in the email cover letter, not the submission document. We will publish up to 6 pages from each author selected. It can be 6 one-page poems or 1 six-page poem, or any combination that totals six “6 x 9” size pages. Prior publication credits must be listed on a separate page if your work is accepted. Authors will receive a contributor copy, and may order additional copies at Glass Lyre’s author discounts. 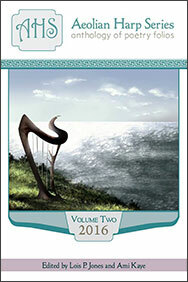 Please follow our Aeolian Harp Anthology Facebook page to get the best and most current information and updates! : Glass Lyre Press LLC.